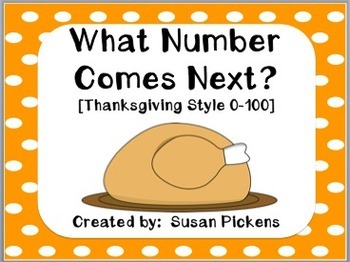 This math center has 24 cards with cute Thanksgiving food graphics. 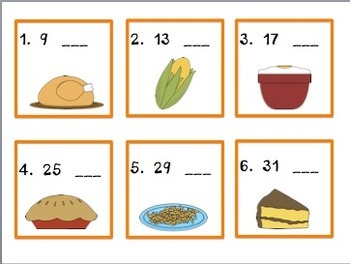 Each card has a number. 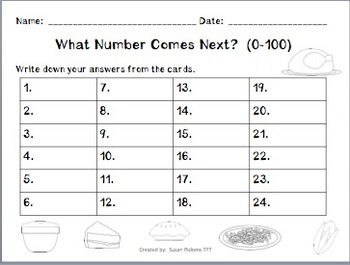 Your students will write down the number that comes next on their response sheet. Enjoy!